Located within St. Mary's Heath Care System on Baxter Street in Athens, Children's Physician Group provides patients access to pediatric specialists in diabetes and endocrinology, gastroenterology, nephrology and neurology. You can park in the patient and visitor parking deck next to the hospital. There is a fee for parking. The attendant accepts cash and credit cards. Checks are not accepted. 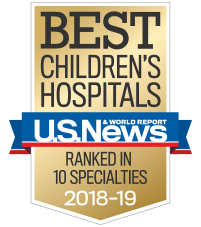 At Children’s Physician Group, our team offers comprehensive services, including evaluation, diagnosis, management and treatment for children with a wide range of conditions, from reflux to IBD to fatty liver disease.